We are currently raising funds to purchase a new Litya tray. Litya is the part of a Vigil where hymns are sung, prayers are said and the priest blesses bread, wheat wine and oil. The total for the tray is $1,023. 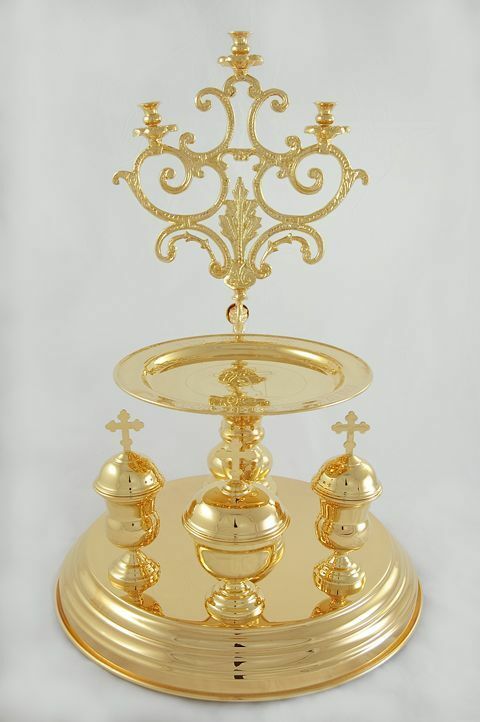 It is a beautiful gold-plated Russian Litya tray with a three-branched candle holder, an elevated tray, and three containers for wheat, wine, and oil that all have covers with crosses. Everything is attached to a 12¼″ diameter tray on three stable feet. 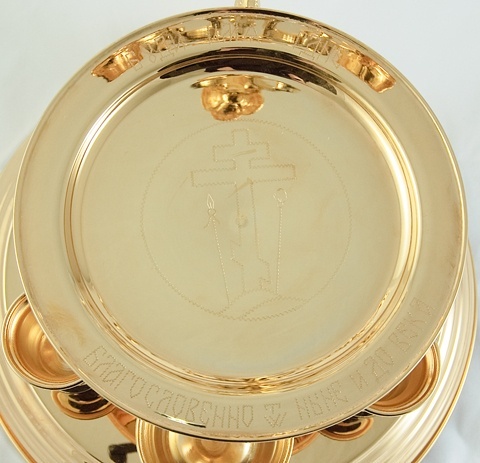 The elevated tray for the loaves is beautifully engraved and measures 8½″ in diameter. The candle holder has a lovely leaf and vine design. Measuring 15″ high to the top of the tallest candle socket this is a carefully crafted and unique set.